For HP printers I have found very useful feature, that you can enable “cartridge out override” feature which will cause that you are able to print even when toner is out. Not all printers support it, but here you can find a list of printers where you can see if it is supported or not for your printer – click here (first half of page contains printers which does not support it, second one is more interesting). 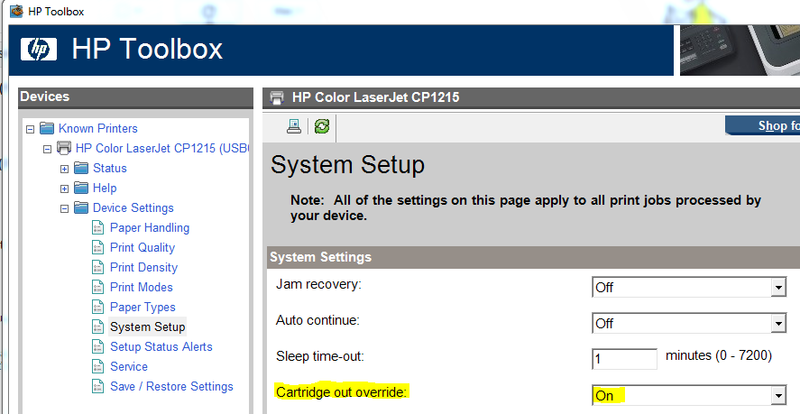 If it is supported for your printer, you need to have installed HP Toolbox (if you used your CD shipped with the printer, you have it). Then go to Device Settings – System Setup – Cartridge out override and set it to ON. With big growth of computers with Windows 8.1 population which are usually 64-bit and home computers (with connected printers) are still 32-bit companies as well as home users are facing with issues related to printer sharing. 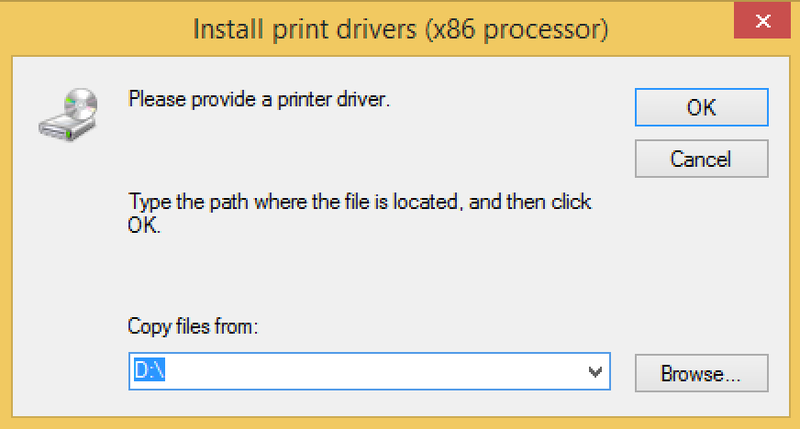 When you install printer on the computer driver specific for appropriate bitlevel is installed for this printer. 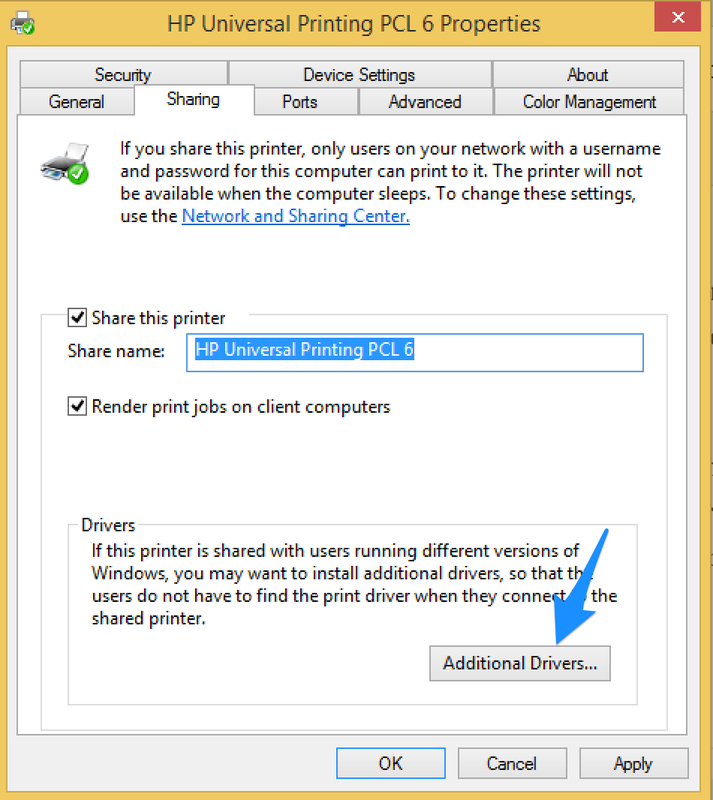 When you share your printer in mixed environment and would like to not bother your user (mother, sister) with looking for a correct driver and installing it on different type of operating system or bitlevel, you can prepare these drivers on the computer which you share the printer from. During connecting this remote printer drivers will be installed automatically for your user. 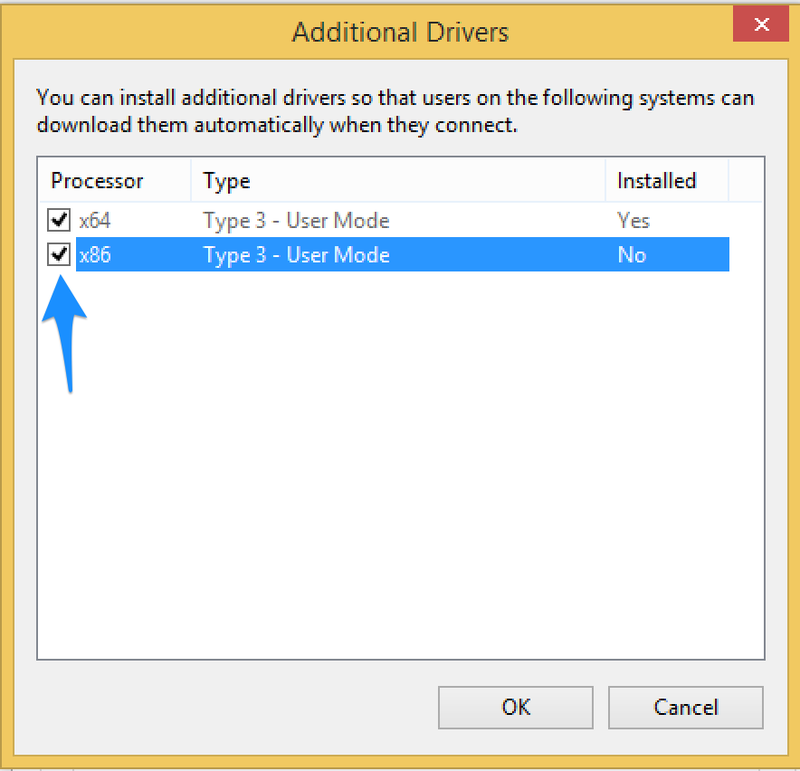 c. Windows asking for a path where you have drivers downloaded are opened. SqlException: Incorrect syntax near ‘OFFSET’.